Launched in 2009, we are the social enterprise arm under Uni-Y SMU. The Stage @ Jericho’s aims to focus on providing a platform for aspiring local artistes to showcase their talent and gain recognition for their performances. Situated at the rooftop poolside terrace at YMCA, we have a perfect ambience for a chill out night with acoustic music playing in the background. The Stage @ Jericho’s aims to become the go-to place for loyal fans of the local arts scene to find out more about our emerging local musicians. We have had over a hundred musicians play at Jericho’s since its establishment, and notable artistes include The Gentle Bones and Sam Driscoll. We organise a live music event on the last Friday of every month. The Stage @ Jericho’s serves the dual function of providing a platform for young emerging artistes to experience performing to a live audience as well as exposing Singaporeans to the local music scene. In addition, all of the revenue generated go towards funding local community service projects under Uni-Y SMU. Find out more about the projects below. In the month of August, we will have a closed doors event for the freshmen of Uni-Y FOC camp. Our live events will resume on 25th September 2015. See you there! 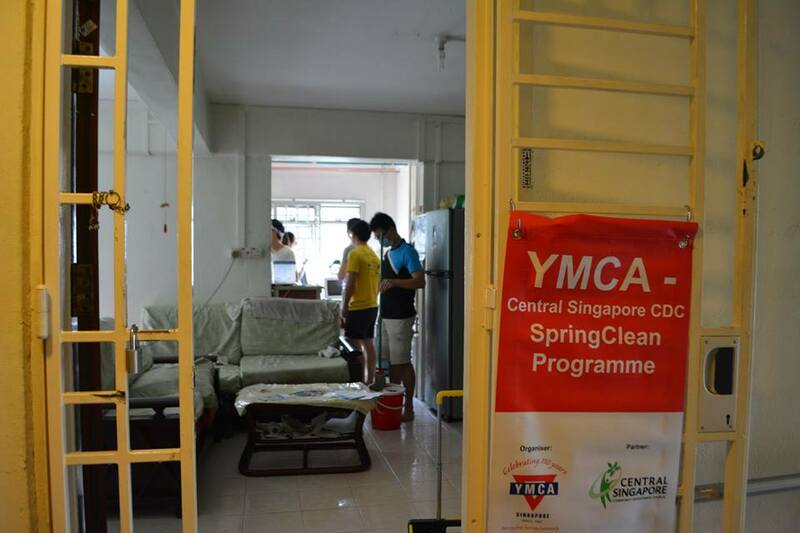 Y Spring Clean (YSC) is a community project that aims to improve the living conditions and provide emotional support to elderly residents living in one-room flats. We aim to achieve these through regular home visits and clean ups, as well as interaction, to bring cheer, companionship and warmth to them as well. Volunteers will head down once or twice a month, on a Saturday to SAC @ Telok Blangah or The Comnet @ Ang Mo Kio to help the elderly residents clean their houses. Volunteers will have the opportunity to interact closely with the elderly during and after the cleaning session. Apart from these regular cleaning sessions, YSC also have Y-Makan session (twice throughout the whole programme). Y Makan is an outing for the volunteers and the elderly. Elderly will be brought from their home to YMCA for a fruitful and engaging bonding session where there will be food and games to entertain the elderly. We Bake, We Befriend and We Bless! Y Food of Love (FOL) is a Uni-Y SMU Community Service Programme, aimed at developing and empowering youths to serve low income elderly from senior activity centres under the Central Singapore Community Development Council (CDC). Youths will serve and express their love through baking, interacting and delivering goods to the homes of the elderly. 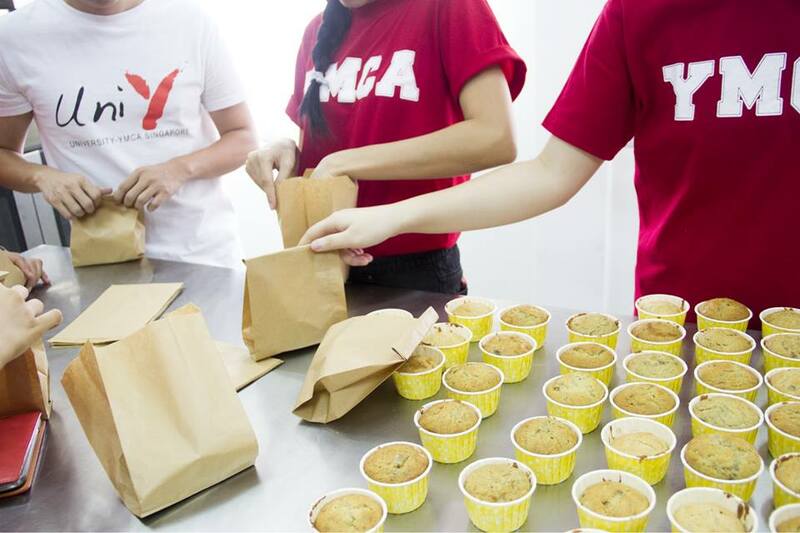 FOL volunteers will gather once/twice every month on a Saturday at YMCA Project Bridge @ Bukit Batok for a session of baking for the elderly. After baking, volunteers will join hands to pack food packages which will then be delivered personally to the elderly. Volunteers will be given the opportunity to interact with the elderly while distributing the food packages. Through this initiative, we aim to provide volunteers with an enjoyable service learning experience, as well as to create new bonds and friendships through baking and blessing the elderly. 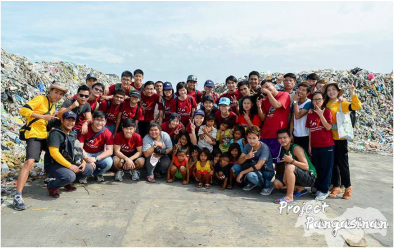 Uni-Y SMU's International Service Program seeks to fulfill the mission of developing and empowering youths to make a positive impact in the overseas community. SMU ISP reaches out to the less privileged and needy communities in Cambodia (Siem Reap, Phnom Penh), Thailand (Chiangmai), Vietnam (Ben Tre) and the Philippines (Pangansinan). Volunteers will embark on an expedition that ranges from 6 to 16 days. This trip aims to aid the personal development of the participants and to help them grow a deeper appreciation for the host country’s people and culture. The program focuses on experiential service learning through serving others. Beyond theoretical aspect, ISP is a platform that launches volunteers into an exciting and fun environment of learning. ISP develops the possibility of creating sustainable impact in the overseas community by working along side with overseas partners. Volunteers will also attend local community service programmes as a preparation for the trip as well as to enhance their service learning experience. Through these programmes, we aim to spark the interest and develop volunteers to become leaders in the community service arena in the future, inspiring others to play their part in becoming a true citizen of the communities. Uni-Y Craft It! aims to reach out to children age between seven to 12 years old who are from underprivileged families. This programme hope to value add to the holistic development of the children by helping to develop beneficiaries’ creativity and also at the same time to guide their interest in Art so to encourage them to pursue their interest in this area. Lastly, we hope to impart values and life skills through our art and craft activities with the children. 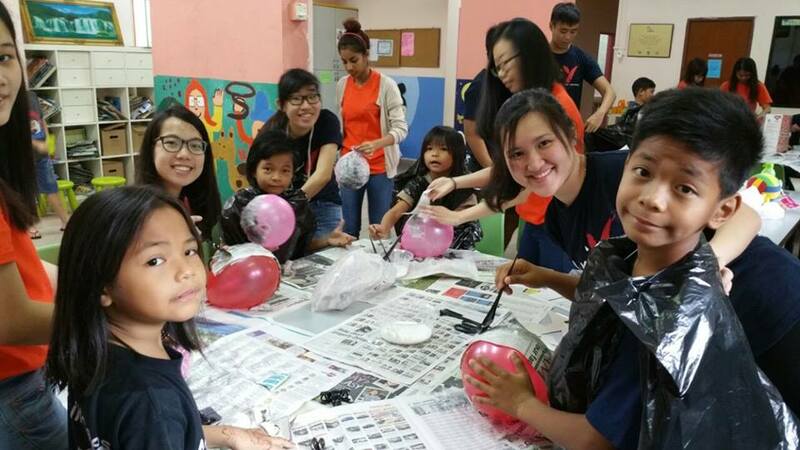 Volunteers will head down once or twice a month, on a Saturday to Waterfall Student Care Centre @ Lengokok Bahru to teach young children simple art and craft skills, mostly using recycled materials. Volunteers will be able to interact closely with the children during the art and craft activities and through close interaction, develop a bond with the children and also instill good morals and values.